A portrait of 82 year old Atlanta based Danish American poltergeist investigator Dr William G. Roll (1926-2012). 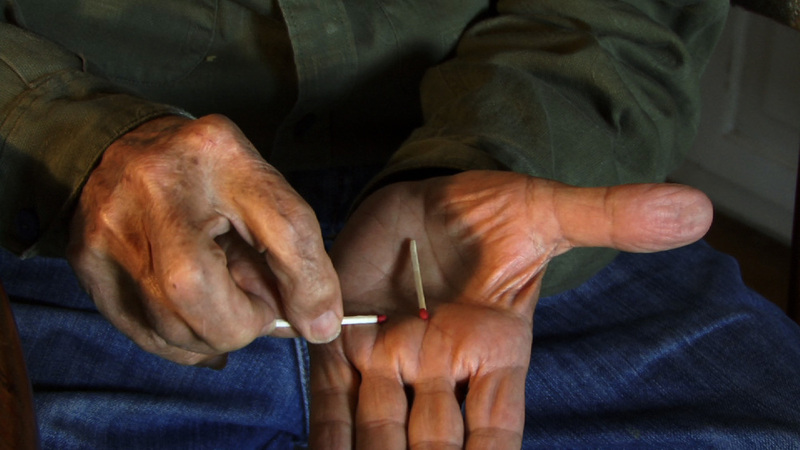 Roll demonstrates tricks with matches and recalls a table levitation he witnessed 40 years earlier. 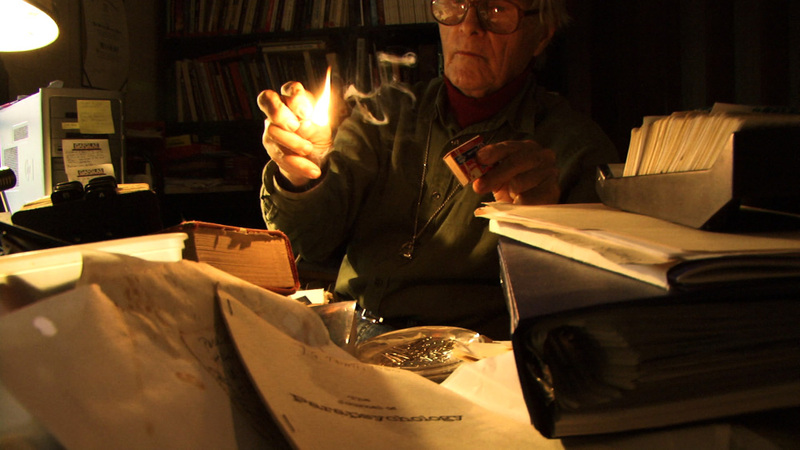 Some Ghosts is a video portrait of Atlanta based Danish American poltergeist investigator Dr William G Roll (1926-2012). 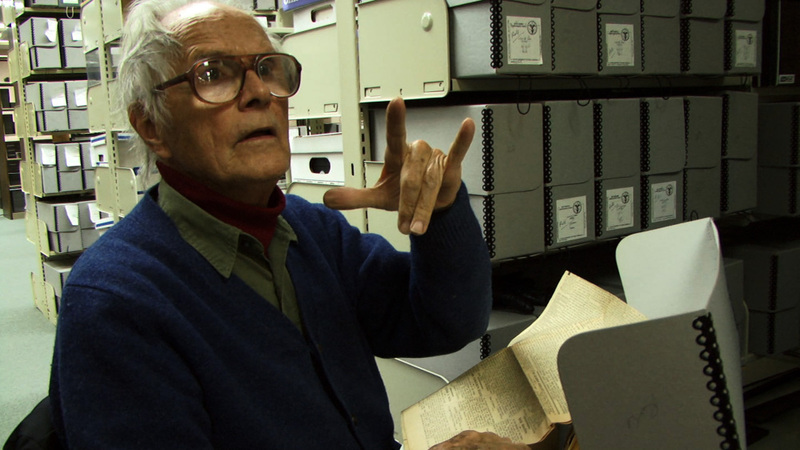 In Some Ghosts, Roll is recorded at home and in the Psychology Department and Special Collections Library, University of West Georgia, where Roll, a former faculty member and Professor of Psychology and Psychical Research has donated his book collection and archive of personal research and investigations. The artist first met Bill Roll at the 2007 Parapsychological Association Conference, Halifax, Nova Scotia, and subsequently at the Parapsychology Foundation’s 2008 International Conference, Utrecht. In November 2008 MacWilliam travelled to Atlanta, Georgia where she spent a week with Roll, recording footage for her 2009 film F-L-A-M-M-A-R-I-O-N.
F-L-A-M-M-A-R-I-O-N was commissioned for the 53rd Venice Biennale, 2009 where MacWilliam represented Northern Ireland with her solo show Remote Viewing. Some Ghosts, 2009 is the second work developed from this 2008 visit. 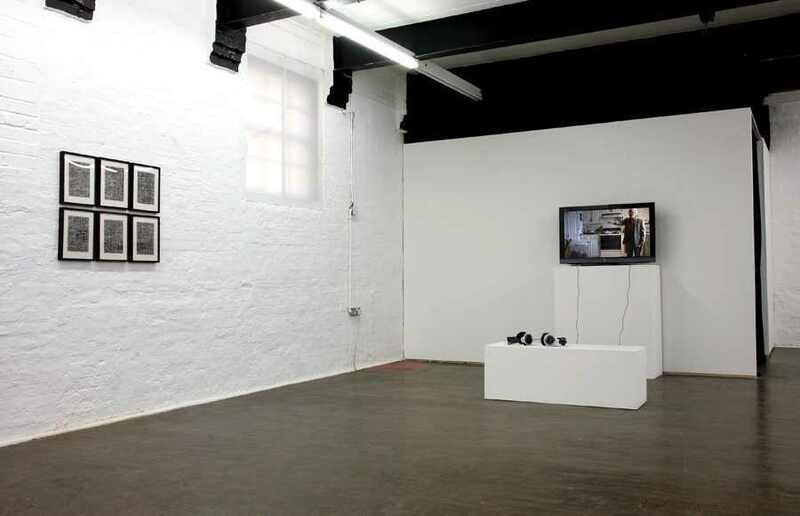 Roll features in four of Susan MacWilliam’s video works; 13 Roland Gardens, 2007; Eileen, 2008; F-L-A-M-M-A-R-I-O-N, 2009 and Some Ghosts, 2009; and is subject of the 2008 stereoscope Can we explain the Poltergeist?, which presents a 3D portrait of Roll in his study at his home in Atlanta, Georgia. Born in Bremen 1926, where his father was American Vice-consul, Roll has Danish and American citizenship. He was part of the Danish Resistance during World War II, and holds a BA, in Psychology and Philosophy from the University of California, Berkeley, an MLitt from Oxford University and PhD from Lund University, Sweden. His MLitt thesis, Theory and Experiment in Psychical Research, has been published in the U.S. His PhD thesis is entitled This World or That: An Examination of Parapsychological Findings Suggestive of the Survival of Human Personality After Death. 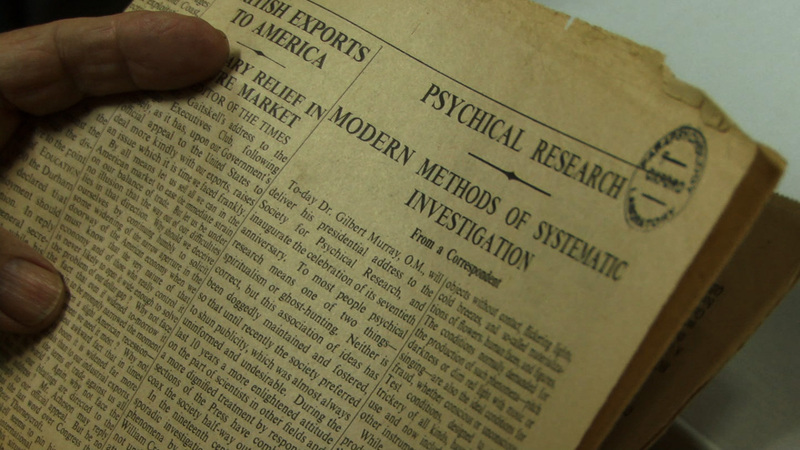 During his time at Oxford University, Roll was president of the Oxford University Society for Psychical Research, in 1957 he joined the staff at the Parapsychology Laboratory of Duke University, North Carolina, where he worked under Dr. J.B. Rhine; in 1961 Roll became Project Director of the Psychical Research Foundation, Duke University and in 1964 was President of the Parapsychological Association. In 1996 Roll received the Outstanding Career Award from the Parapsychological Association and in 2002 was awarded the Dinsdale Memorial Award by the Society for Scientific Investigation for his RSPK studies. Over the course of Roll’s extensive career he has written four books including Unleashed: Of Poltergeists and Murder; the Strange Story of Tina Resch (with Valerie Storey) and over 200 scientific articles; he continues to present papers at conferences worldwide, and is currently writing a book with Bryan Williams - The Psychic Brain. Following his investigation with J.G. Pratt, in 1958 of moving objects at a home in Seaford, Long Island, Roll and Pratt coined the term RSPK / Recurrent Spontaneous Psychokinesis. Throughout his career Roll has investigated cases of OBE / Out of Body Experience, ESP / Extrasensory Perception, hauntings and poltergeist activity including those of Tina Resch, Sean Harribance, Keith Harary, Roger Callihan, Julio Vasquez, Renate Beck, and Heidi Wyrick. In 1991 Roll investigated RMS Queen Mary (then a hotel and museum in Long Beach, California) following reports by the ship’s engineer of mysterious nighttime sounds from her bow. Roll has worked with many respected and established researchers within the field, including Michael Persinger, Dean Radin, Gertrude Schmeidler, Raymond Moody, William Joines, Stephen Baumann and Hans Bender. 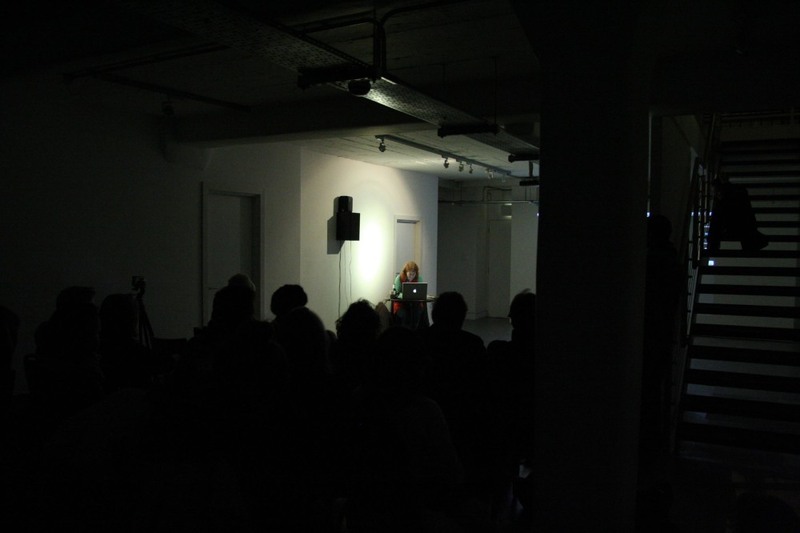 On Thursday 3rd December 2009 at David Roberts Foundation, London, Five Storey Projects presented a screening of Some Ghosts by Susan MacWilliam. 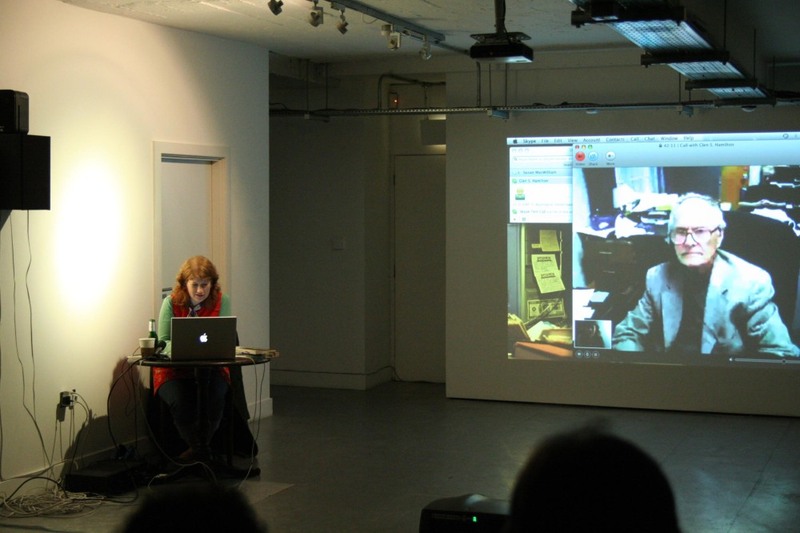 The screening was followed by a talk by Susan and a live web-chat between the artist and the subject of Some Ghosts, poltergeist investigator, Dr William G. Roll, with Scot Hamilton acting as the connecting 'medium'. Post Screening Discussion and Skype Conversation, 51 mins. 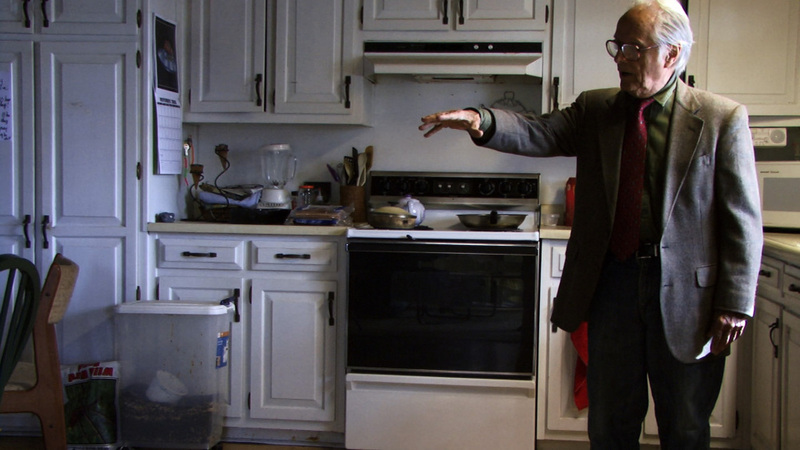 Following the London screening of Some Ghosts, MacWilliam discussed the project and talked to its subject Dr William G. Roll in Atlanta, Georgia. With thanks to Scot Hamilton, Psychology Department, University of West Georgia for acting as 'medium' for this connection.